I am 33 now. Married with two children. I have been in employment for over 10 years now and own my home. I wasn’t always so lucky. I have had over 20 addresses in my time, leaving home at the age of 15 I have struggled with addiction and mental illness. I was fortunate enough to meet people in my life who helped me and enabled me to achieve the better things in my life. Without these people I am certain I would not be here today to tell my story. 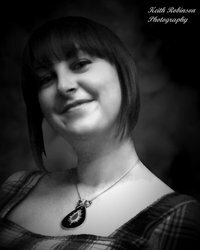 Please read my blog under Rachel's story this includes insights from those who knew me around the age of 17- 19 when I was homeless and when I feel I was at my worst. 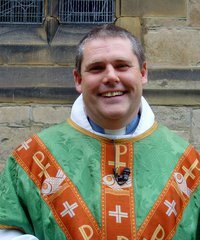 My name is the Revd Peter Turnbull and I am a vicar in Cleator Moor in West Cumbria, alongside my wife Jacqueline who is also a vicar. I have worked in parishes and prisons for the last twenty years. My interest in helping people who find themselves in difficulty comes from my belief in a loving and caring God who is concerned that the hungry are fed, the sick visited and the captives set free. Jesus was born in a stable because there was no room at the inn and so God and the Church are interested in both the homeless and the refugee. Christians are issued with a challenge in the gospel to bring justice into our world and to alleviate poverty. A project that seeks to help people when they are down, rebuild them and reskill them is a positive contribution to our community and to the Kingdom of God. And so I am an enthusiastic Director of this homeless project seeking to help needy people in our local community. Joanna is a teacher who has worked in adult education for a number of years. 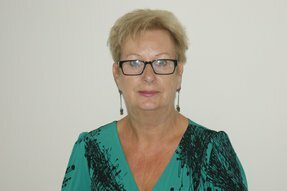 She is a specialist in adult literacy and dyslexia and has taught in an FE college in County Durham. Joanna has also worked in offender learning in an adult prison in Leeds where she first came to realise the difficulties facing offenders due to be released and supported them by helping them to achieve qualifications in English and Maths. Currently teaching functional English, Maths, IT and employability to unemployed adults in the West Cumbria area. I'm 26 and I have lived in Cumbria my whole life. 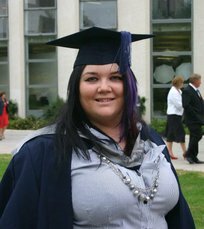 I graduated in 2010 from Liverpool John Moores University with a BA Hons in Criminal Justice and gained employment with the Probation Service as a Probation service officer soon after. This is where I saw first hand the difficulties people face when they have no stable and secure place to call home. I also saw how strained the resources were for homeless people and how people were struggling to cope without the right help readily available. I have battled with depression and anxiety since I was 17 and all I saw was a bleak and miserable future for myself. I have taken my mental health issues as an opportunity to learn and understand the effects of poor mental health, and use this knowledge to try and educate others. I am currently a Youth Development Worker for the Phoenix Youth Project delivering informal education and offering learning opportunities on a lot of 'taboo' subjects such as homelessness and mental health; amongst other things. I am studying for Post Graduate Diploma in Youth and Community work and will hopefully graduate in 2014. I believe that as a community worker, I can make a difference in the world and help those who need a it, just like my friends and family did for me when I couldn't see the light at the end of the tunnel. I have worked in the Drug and Alcohol field in Cumbria for over twenty five years as a Substance Misuse worker for the NHS. This role involved supporting individuals with substance misuse issues. As part of my role I was responsible for completing comprehensive assessments, making recommendations to GP’s around prescribing needs, and within this role supported individuals with housing issues, criminal justice issues and some individuals with complex mental health needs. For the last three years I worked for the Maryport Health Services setting up a Community Alcohol Service specifically for Maryport and this involved liaising with several other agencies. Working with the individuals required various interventions such as prescribing, health education, coping skills, relapse management and time management. I retired in March of this year and feel I have valuable experience to support this worthwhile and much needed project.